I have written before about what I call the examined or quantified life. We try to measure aspects of our life such as heart rate or calorie consumption or number of steps taken. This is often part of an attempt to adjust various aspects of our life to bring more control and meaning to our existence. One of the areas that we may not focus on enough is sleep. If done right it should represent a third of our 24 hour day. This blog post highlights various ideas, technologies, and methods to help quantify, and hopefully improve, sleep. It used to be that lack of sleep was a positive sign that we were too busy and important to take such a long break. A recent New York Times article titled “Sleep Is the New Status Symbol” suggests just the opposite is in vogue. The author cites studies that show lost productivity and health crises attributed to lack of sleep. Now, it is more desirable and advantageous to get enough sleep, whether it be in one block or augmented with a short nap during the day. Quality sleep is the new gold. 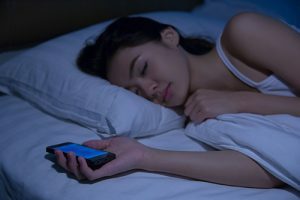 There have been studies and articles suggesting smartphones and other devices are disrupting our sleep through bright light and mental stimulation. But there are also devices and apps for measuring sleep quality and duration. Apple’s iOS 10 has a sleep timer built right into the clock that reminds you when it is time to go to bed and then gently wakes you. In addition, it tracks your sleep and makes that available to iOS Health for logging. Also available is the SleepCycle app for Apple devices and SleepBot for Android smartphones. These all encourage you to go to bed and wake up on time through an audible alarm and then track the time that your phone is motionless so that you can modify your patterns if necessary. Pharmaceutical sleep aids sometimes cause addictions or even interrupt sleep that they are supposed to protect. However, there are new technologies that are promising to bring deep, uninterrupted rest. While light on details, the Dreem headband promises to bring a restorative sleep. Due out this summer, the device uses electroencephalogram (EEG) technology to monitor brain patterns and produce soothing sounds at just the right moments. Like the apps mentioned above and wearable devices, it also tracks your duration and quality of sleep. The Thim device, previewed in the above-mentioned New York Times article, will also debut this summer. Thim trains you to get to sleep faster, thus leading to a better quality sleep. It does this by waking you every three minutes after you first fall asleep in the evening. This is intended to condition your body to go to sleep faster. Personally, I think it would drive me crazy but it may work for some. It also tracks your sleep duration and patterns. There are some medical issues that prevent sleep and should be dealt with, but for those of us with overactive minds or poor scheduling habits, technology can help. Personally I can go to sleep in five minutes but my brain reengages about 3:00 a.m. and it is not always easy to get back to sleep. I follow all of the standard wisdom, but to no avail. Perhaps one of these monitors or trackers might be just the thing I need. I actually sleep better in a sleeping bag in the woods than in my own bed, which may say something about me. Have you had success with a sleep app or wearable or other technology? How has it made a difference in your life? Please share your experiences so maybe the rest of us can learn better sleep practices from you. This entry was posted in Uncategorized and tagged EEG, health, productivity, quantified self, sleep, sleep app, sleep cycle, tracking on April 18, 2017 by Kelly Brown. An IT practitioner by education and trade and an educator by good fortune.